One of the biggest barriers for creating mentally fit workplaces is fear, says Poppy Jaman of MHFA. Conditions such as anxiety and depression are experienced by one in six workers at any one time. The competition, stress and long hours’ culture in some workplaces leaves employees vulnerable, but their fear of discrimination often prevents them from accessing help and support early on. It depends on the organization but on the whole we know that people feel mental health is a difficult subject to approach. We are very used to knowing what to do when someone is physically unwell and feel able to have an open conversation, perhaps asking them how they are, what they might need and then directing them to the right place at the right time. When it comes to mental health it’s very different because most people feel unequipped to ask the right questions or know what the appropriate next steps of support are. People tend to panic and respond in a way that causes further distress. Sometimes managers go down the road of over protecting the individual and this can be patronizing and career-limiting. Many organizations have stress, absence management and other policies but there are very few who have explicit mental health policies. Some organizations have worked hard to integrate mental health into their mainstream practices but in my opinion mental health needs to be addressed head on and with pride and openness. Fear of being perceived as a workplace with ‘issues’ is often a reason why people steer away from being explicit about all the good mental health work they are doing or intend to do. We just need to talk about mental health in the same way as we do physical health. Line managers and workplaces should be able to automatically signpost someone to the right interventions if they recognize some of the signs and symptoms of poor mental health. But that can only be done if the culture of the workplace is set up in a way where mental health is promoted and there is empathy and understanding of mental ill health. The fear surrounding mental ill health and the misunderstanding around recovery is one of the biggest barriers for creating mentally fit workplaces. 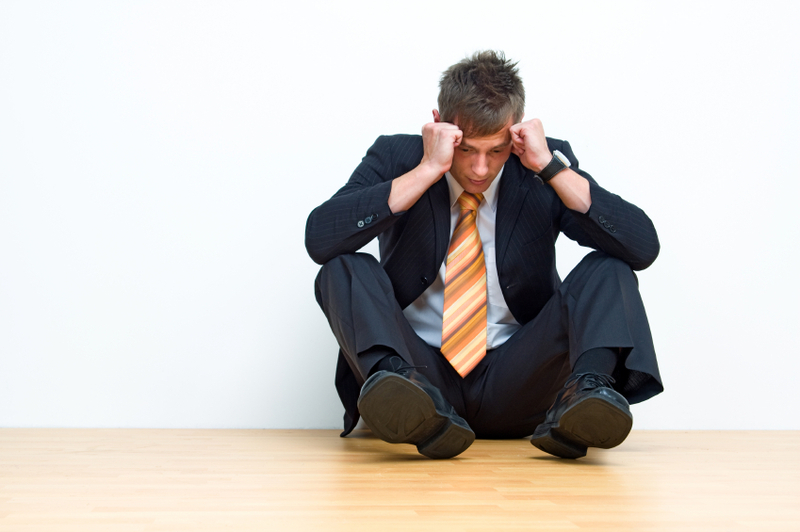 Are employees afraid to admit they are suffering from stress? The culture is changing but very slowly. Generally people are afraid to admit to stress as it implies that they are not resilient and unable to cope, which can lead them to feel that they won’t be promoted. Employers often don’t promote people experiencing mental health issues, not because they are being malicious, but because they are trying to protect the person who might be experiencing stress. Experiencing stress or anxiety or depression does not mean that someone is incapable of fulfilling their work role. Indeed evidence shows that people with mental health problems are often in very high performing jobs and can be very loyal employees. However the stigma same way as physical health issues can affect us all differently – for instance one person’s pain threshold can be higher or lower than another’s. Therefore it’s really important to take a person and family centered approach when it comes to providing a good health related service. It also depends on what you want to measure. A person’s workload might be an added issue to something that they are experiencing in their personal life. We have to ensure we are considering the whole picture. My personal experience is that my mental health has tipped over to distress when a number of negative life experiences have come together in one go and I’ve not allowed myself to stop and recharge. We need to learn what our triggers are and tell the people around us what to look out for. How should employees respond when they perceive increasing stress levels? First we need to be able to recognize how we are experiencing stress. Often we don’t realize that we are unwell and it is often too late and we have reached a crisis point. Employers have a responsibility to educate and increase the mental health literacy of their workforce so that we are able to recognize the early signs and symptoms both in ourselves and in those around us. Spotting the signs and symptoms of mental ill health is critical to achieving a good recovery and like any health related problem the earlier there is intervention, the higher the chances are of a good healthy speedy recovery. Employees need to feel confident and comfortable about approaching their line manager or someone within the workplace and tell them how they are feeling and the impact that it is having on their lives. Taking the first step to seek support is the hardest part. Disclosure with so many stigmas around is not an easy task! How do employers manage stress and depression among their workforce? All employers need to think about taking a holistic approach to managing the mental health of their workforce. So, is the organization advertising it’s roles and recruiting suitable candidates? What is the corporate culture? Are they giving the right message out about mental health from the outset or are they reinforcing the idea that stress equals incompetence? Apart from policy and training, businesses should also be ensuring that there are regular awareness raising activities and that all employees know what the care pathway is and what support mechanisms are there for someone who is unwell. For example, we know that most large corporations have excellent employee assistance programs but the mental health aspects of those programs are often hugely underutilized. So businesses should be aiming to create a culture where disclosure of mental health issues is encouraged and access to the right support is readily available and openly promoted. I wholeheartedly believe in a person- centered approach and believe it is the only approach that organizations should use. Being person centered is really is not as difficult as it sounds. It’s about asking the person some really good quality questions right at the outset to find out how they are feeling and what they need to enable them to get better. The simple act of listening to someone and hearing what they’re saying can often release an enormous amount of tension and affirm that how they feel is actually quite common and that there is lots of help available. People don’t need to suffer in silence. The problems increase to high risk of suicide when people don’t talk and bottle things up. As a person who has had experience of mental ill health, I know how easy it is to lose perspective on the size of the problem but through talking we can start to gain perspective and seek help before we hit crisis point. Reassurance is really important and we can only reassure someone if we know enough about the subject which is why I come back to good quality education and training. We need to increase the mental health literacy of the whole population and create a culture where mental health is no longer stigmatized. Is the view of stress much different in other countries? The causes of stress can be different in different countries but the signs and symptoms of stress are the same, wherever you live. The result of not dealing with stress effectively within workplaces and society at large are also the same in every country. What does vary between countries is the emphasis and funding that is being put in place to tackle mental ill health. Just recently the US government announced that $15 million worth of new funding will be used for a nationwide program designed to provide Mental Health First Aid training to police officers, first responders, primary care professionals, social workers, and college and university staff, among others. We very much hope that other countries can learn from this and make MHFA mandatory in the workplace.